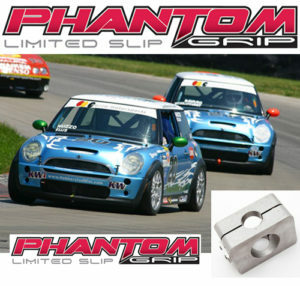 Phantom Grip Mini Cooper, Classic Mini, & Mini Cooper S Limited Slip LSD Conversion Kits are in top featured teams around the globe. 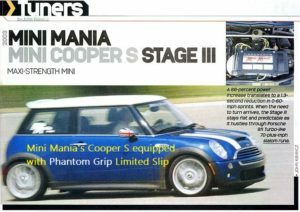 Here you can read about Mini Mania’s feature article and performance mods written by John Kiewicz. 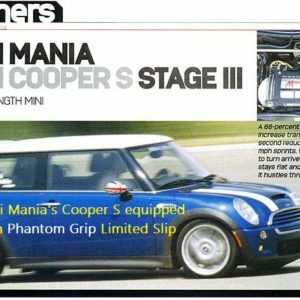 Installing a Phantom Grip Mini Cooper S limited slip in your 2001-2016 Mini Cooper S Transmission is a pretty basic procedure.